You are currently browsing the Athletic Tape Info Center blog archives for February, 2010. Kinesiology tape is made from cotton with a medical grade acrylic adhesive. It is latex-free and non-medicated, making it hypoallergenic for virtually everyone except those with allergies to any type of adhesive. With this said, however, a small percentage of kinesiology tape users do experience irritation, itching or redness after wearing kinesiology tape. The purpose of this blog is to examine the most common causes of skin irritation, and present some possible solutions. 1. 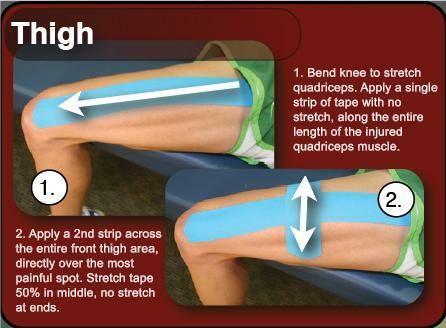 Too Much Stretch in the Tape – When kinesiology tape is applied with a great amount of stretch, it pulls on the skin as it attempts to contract back to its unstretched state. If only a small piece of tape is being used (as in the RockTape Pain Zapper technique), this doesn’t usually create a problem. When larger areas of skin are covered with extremely stretched tape, however, the potential for irritation or even blistering is much greater. 2. Applying Stretch to the Anchor Ends – The anchor ends of the tape are the final 1-2″ of every strip. When these ends are stretched during application, they will pull on the skin with every movement. After a period of time, this can cause redness and irritation. 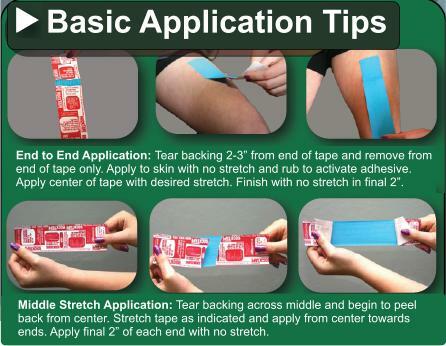 Solution: Regardless of the amount of stretch used in each strip of tape, the final 1-2″ should always be applied with absolutely no stretch. 3. Hair Follicle Irritation in Unshaved Areas – The benefits of kinesiology taping are achieved via direct contact between the tape and the skin. 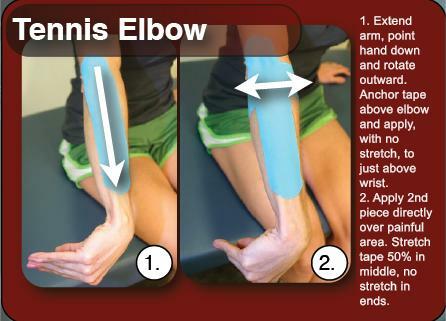 A properly-applied kinesiology tape application provides continual sensory input on the skin’s surface. If the taped area has significant amounts of hair, this sensory stimulation is transmitted to the hair follicles, which can become irritated. Solution: Clip excess amounts of hair close to skin level before applying kinesiology tape. 4. Skin Irritation in Freshly Shaved Areas – Shaving removes the uppermost layer of skin, exposing fresh skin for the first time. Because this skin hasn’t had time to “toughen,” it is more easily irritated, especially if the area is not shaved regularly. Solution: To avoid hair follicle irritation from shaving, try clipping the hair close to the skin rather than shaving. Clipping leaves the top layer of skin intact, decreasing the likelihood of irritation. If the above precautions have been taken and skin irritation persists, the following products have been found to be helpful when applied to the skin prior to taping: Liquid Milk of Magnesia, Benadryl Itch Stopping Gel, Maalox, Skincote and Tens Clean Coat Skin Wipes.